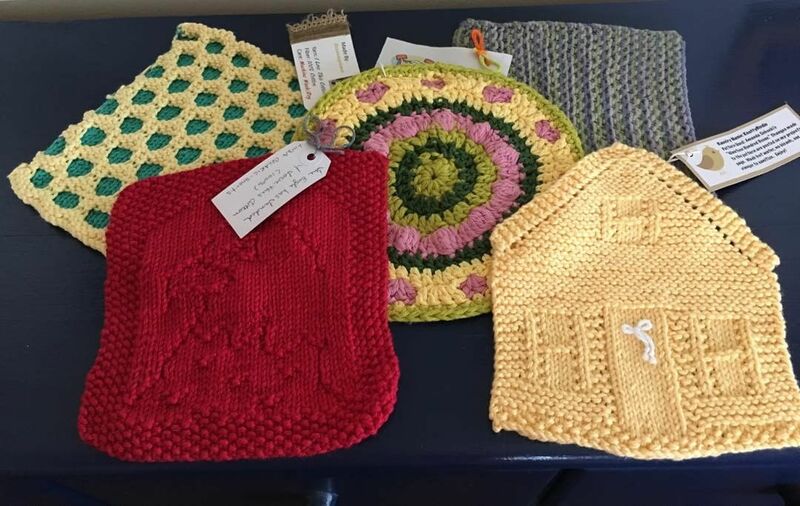 Catherine enjoys community and patterns — and sprucing up her kitchen on Ravelry called the Annual Dishcloth Swap, https://www.ravelry.com/groups/annual-dishcloth-swap. 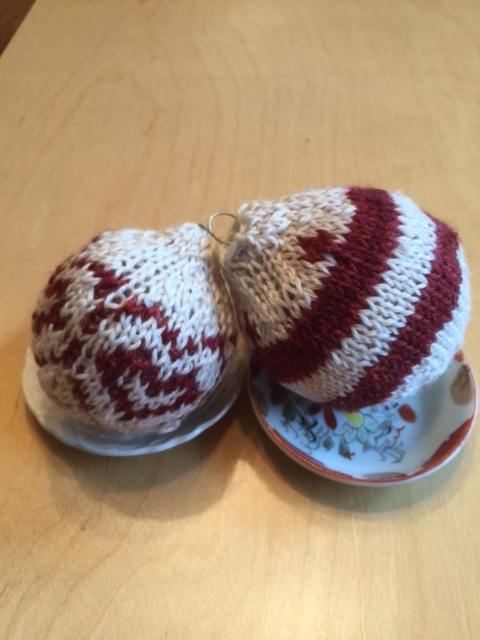 Margaret Found the “Goldilocks” amount of challenge in Tranis Gray’s Craftsy Fair Isle Ornaments class and improved her Fair Isle techniques, make one left and right, provisional cast on, and working with double point needles on a small circumference. The result was fun, learning and beautiful Christmas Ornaments. 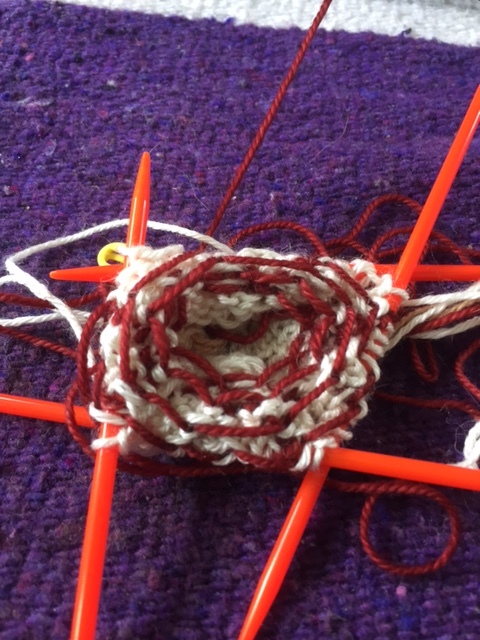 Photos: The stripped ornament was a practice one — less complicated to be able to concentrate on knitting with double points. (no pattern) Still looking for pattern with hearts. Sorry. Catherine shares Newark University research by Gregori Busaki and his group on just how sleep helps to anchor our memories of the day.